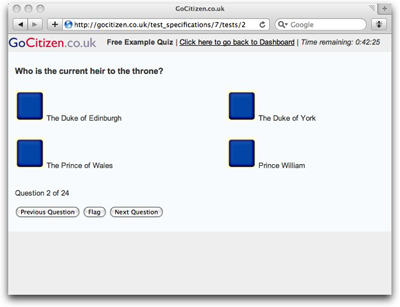 GoCitizen.co.uk is an online study resource for candidates preparing for the Life in the UK test or British citizenship test. This is a comprehensive and proven study package. It includes an online version of the latest official study materials licensed from the Home Office, the people who write the handbook plus hundreds of practice test questions in the same format as the official test.